Eating the right foods can help keep hearts healthy, especially as we age. At Nano Health Associates in Hollywood and Miami Beach, we take a proactive approach to cardiac care to help you and your heart stay healthy. Diet is an important part of this approach, and the professionals at Nano Health can help you design a diet that helps you lose weight and improve your overall health. Keep portion size down: The amount of food you eat is important, no matter what type of diet you follow. Piling food on your plate, going back for seconds and eating until you are completely stuffed means additional calories, fat and cholesterol. Record how many servings you have — and opt for smaller serving sizes — to better control your portions. Choosing low-calorie foods with plenty of nutrients, such as fruits and vegetables, and cutting back on high-calorie, high-salt foods can improve your diet, help your heart and keep your waistline in check. Eat more vegetables and fruits. They are solid sources of vitamins and minerals, have fewer calories and are rich in fiber. 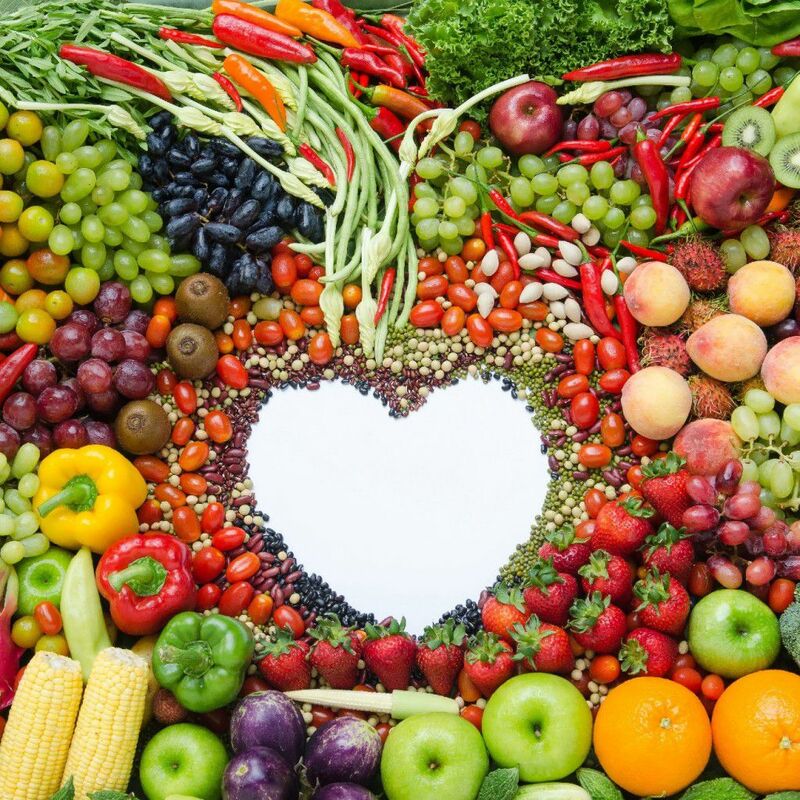 Eating fruits and vegetables can help prevent cardiovascular disease and keep you from eating more foods with high fat content, such as cheese, meat and many snack foods. Keep washed and cut veggies in your refrigerator so they are handy for snacking. Place fruit in a bowl within your sight – it will remind you to eat it! Go with whole grains: They give you fiber and other nutrients to help control blood pressure and promote heart health. You can boost the whole grains in your diet by making substitutions for refined grain items. Feel free to try new whole grains, such as couscous, barley or quinoa. Ground flaxseed also adds whole grains. Flaxseeds, tiny brown seeds rich in fiber and omega-3 fatty acids, can help decrease your cholesterol levels. You can grind the seeds in a food processor or coffee grinder, then stir in a teaspoon of them into applesauce, hot cereal or yogurt. Reduce bad fats and cholesterol: Decreasing the amount of saturated and trans fats you consume can help reduce your blood cholesterol – and the chances of developing coronary artery disease. High cholesterol levels can be followed by an unhealthy buildup of plaque in arteries. This hikes your risk of heart attack and stroke. The key to reducing the amount of saturated and trans fats in your diet is limiting the amount of solid fats you use when cooking. This means using less butter, margarine and shortening. Another method to reduce saturated fat in your diet is removing fat from meat before cooking, or select leaner meats with under 10 percent fat. Opting for low-fat substitutions when you can also helps with your heart-healthy diet. One example – put salsa, or low-fat yogurt, atop your baked potato, not butter. Also, you can use low-sugar fruit spread on your morning toast rather than margarine. Check the labels: Most people enjoy crackers, cookies and chips, but even products labeled “reduced fat” may contain oils with trans fats. One clue: Food that has some trans fat in it contains the term “partially hydrogenated” in the ingredient list. When you use fats, opt for monounsaturated fats – olive oil or canola oil. Fats in nuts and seeds are heart-healthy. Remember – moderation is key! All fats are high in calories. To learn more about heart health and diet, and to ensure your heart is healthy, contact Nano Health Associates today.